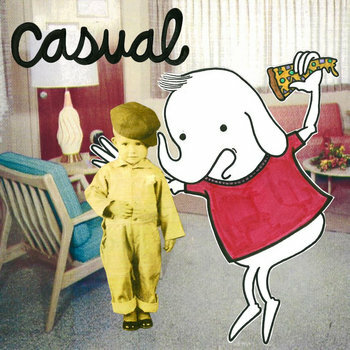 Casual keeps things upbeat and happy, giving you four songs of something that's not quite pop punk, but leans a little more to the indie side of things. The dual female/male vocals are a nice touch though, the male vocals can be painful off key at times (in that "cute" sort of indie way). Musically there's a good deal of texture with dueling guitars, noodly bass and some solid drums. The production sounds a bit muffled and sterile at times. With some better production I feel that some of the dry aspects of this would clean up nice.